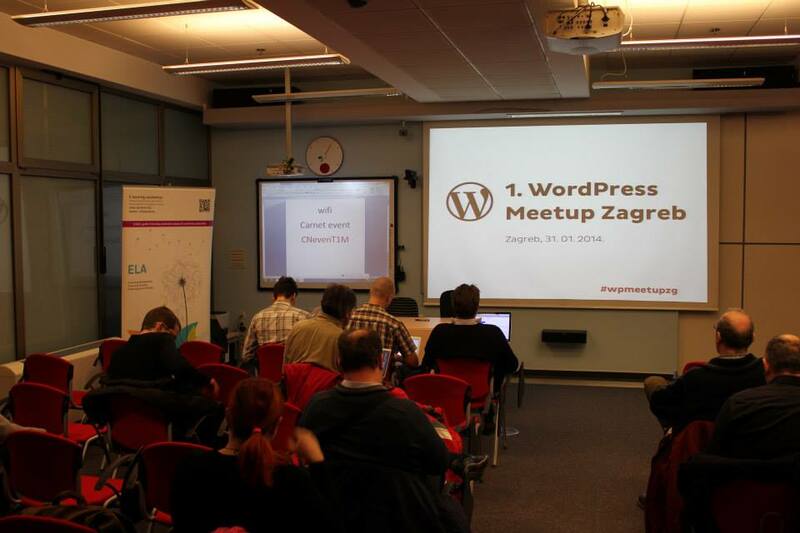 I would like to tell you a story about how couple of us started Croatian WordPress Community. It all began couple of months ago when three of us went to WordCamp Europe. Off course, building a community was something we thought about long before, but after WordCamp we made a decision to make the next step. I used this article to write down some moments and thoughts that I had while being one of the organizers of Croatian WordPress Community. Learn how to build a WordPress community with a story on how we started Croatian WordPress community. We knew that a lot of people in Croatia use WordPress as their “CMS of choice”. Nevertheless, in Croatia WordPress is considered mostly as a “blog engine” rather than a full–blown CMS. Because of that we have problems explaining clients “What can WordPress do?”. During small–talk with different people at WordCamp Europe we realized that we actually create some amazing stuff in WordPress not only in Croatian but in the European standards as well. So we started thinking what should we do and how to build a WordPress community. Since we didn’t now much WordPress developers in Croatia we wanted to meet them first and it was decided that the informal meeting is a better choice than something formal like a Meetup. 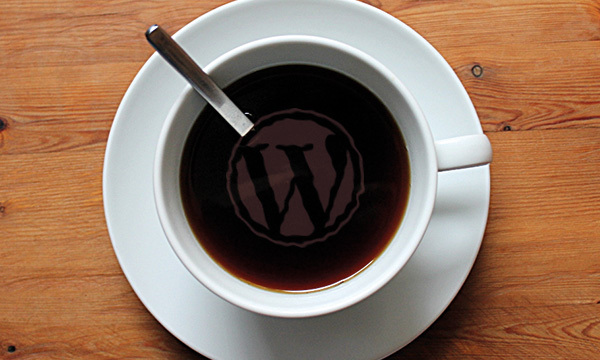 With the help from Netokracija (leading technology magazine in the region) we spread the word about WordPress Coffee. Although we thought that anything more than 15 attendants will be a huge success, around 40 people from all over Croatia RSVPed. We were excited that there was so many interested people. 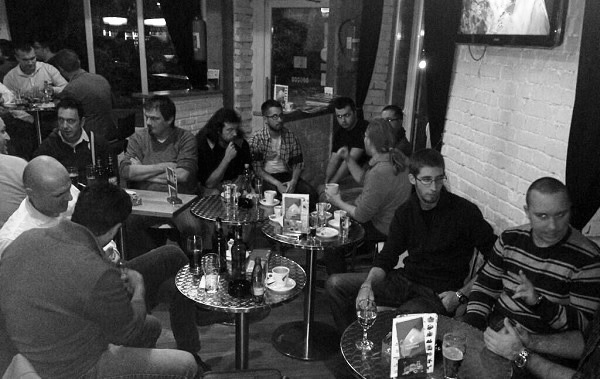 WordPress Coffee was held in a small Cafe near Faculty of electrical engineering and computing and it was a success. People started talking to each other and everyone was excited that something positive is happening after many years. During this time we opened a Twitter account (@wpcroatia), as well as Facebook group (WordPress Hrvatska, it’s open for everyone that understands Croatian) and website (http://wpcroatia.com). All this channels are used to promote WordPress community only. We had the answers and most of them didn’t surprise us. Most of the community was interested (85%) to have regular WordPress events. 30/30% percent said that this should happen every 2 or 3 months. 50% of those who responded said that they are willing to talk at the events and 40% would help organize them. The numbers were just amazing. While we were searching for a good venue to host a meetup we were contacted from CARNet (Croatian academic and research network). This was important for us since CARNet is probably the most important educational institution in Croatia covering information technologies. 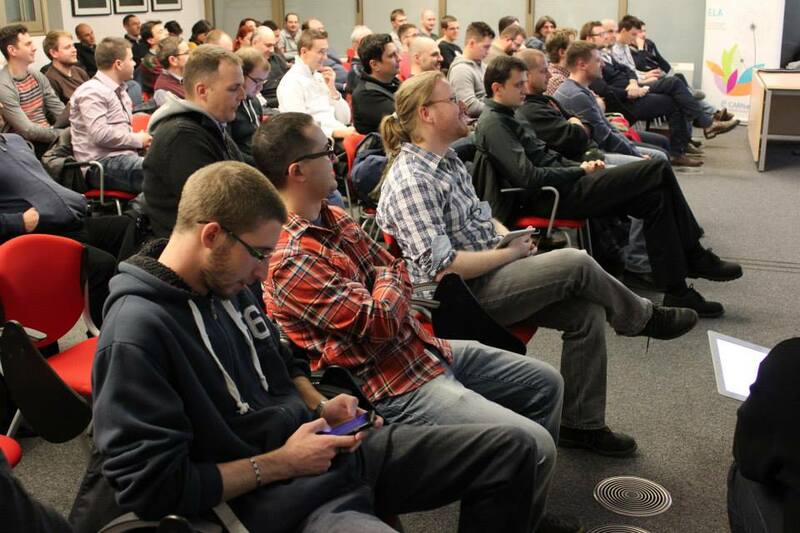 They provided the excellent venue for the WordPress Meetup Zagreb with around 100 seats and live–streaming capabilities. Meetup was announced month and a half before it would take place. We had invited everyone to submit their talk. At this point we didn’t have much engagement (to be completely honest) but we managed to arrange 4 talks, 20 minutes each. Next step was to open a Meetup page on Meetup.com and to allow anyone to register for the Meetup. In the first seven days we completely sold out our first WordPress Meetup Zagreb and everything is even bigger success if you know that we didn’t advertised it except on our own channels (Twitter/Facebook/Newsletter). We didn’t over–prepare for the Meetup. 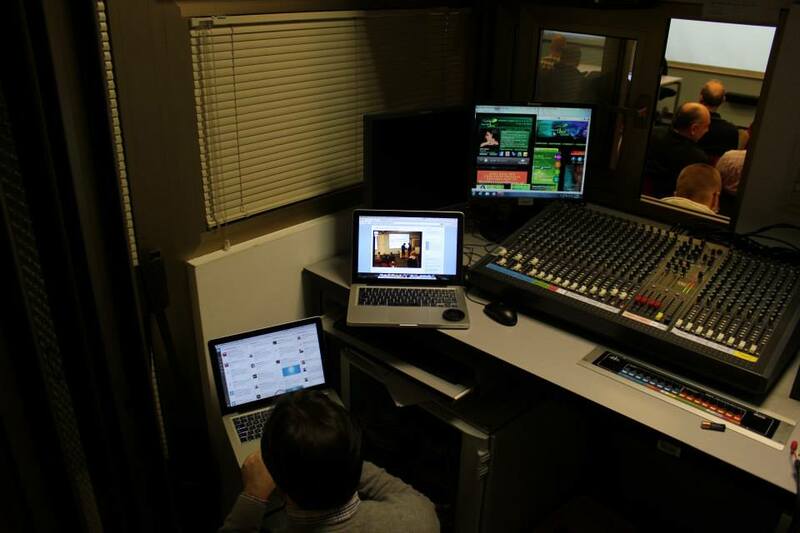 When it started more than 70 people were present and at some point we had around 250 live–stream viewers online. We were solving this problem in the same time we were asking the questions. Couple of us started to prepare the first WordPress Meetup Zagreb. Since most of the people said this to be one of the biggest problems we got in touch with Jurica Zuanović, who is responsible for translating WordPress to Croatian language. Jurica said that the biggest problem for him is the lack of people that are involved in the process and because of that we asked him if he would be willing to give a talk about localization. Before and after the Meetup many people volunteered to help and we are thinking of bringing some professional readers on board, that will go through the translation and help fix it. For the past years there was no central place. We’re building our central place around http://www.wpcroatia.com (this will take some time since we all have some regular jobs, if you’re willing to help drop me a line;). The idea is to have a blog, list of helpful tools at one place (links to plugins, articles etc.) and a forum. This was a heavy one. In Croatia, WordPress is usually considered a “blog engine”. This is because community was not–existent at the time. There was no one that can stand out and say that WordPress is one of the best CMS in the world with over 20% of the world wide web using it. Since I was working with WordPress for many years, people approached me from time to time and asked me to help them. Sometimes I even acted as a consultant for some WordPress–based projects. This is good but it shouldn’t be a one–person job. We should build a professional community and we’re building it as we speak. After the Meetup we started a group that will help with the translation. Currently there are 9 people in the group. We also want to create a standardized documentation. Every one of us is giving their clients their own documentation version (usually a document from 10 to 40 pages) in PDF format. Because we don’t have documentation in Croatian just yet we decided to create a document that will be used by everyone with the most used options in WordPress (how to write an article or a page, setup most common options etc.). Although we are usually refered to as Croatian WordPress community the fact is that we’re connected with Slovenian, Bosnian and Serbian communities as well. Bosnian and Serbian language have many similarities with Croatian so we can understand each other easy enough. Because of that we welcomed many of them in our Facebook group. Slovenian WordPress community started their Meetup at approximately the same time we did ours. Both of our communities see this as a potential for exchanging speakers and knowledge and a possibility to build a stronger regional community. As WordPress is changing the publishing world, all of us want to change the way WordPress is being experienced in our countries. This is done by helping our communities grow and be stronger. And by expecting even more professionalism in our work. We can do that, we’re on the right track. At the end of the article I would like to thank all the people that are responsible for bringing idea of a community into life. 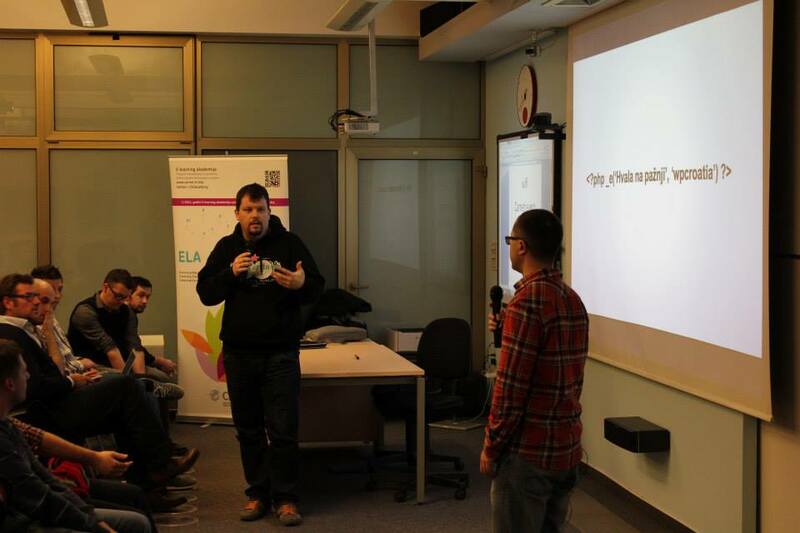 Lucijan Blagonić and Zoran Ugrina did a lot of preparations for the WordPress Coffee and WordPress Meetup Zagreb. Ivan Percan helped us as well with organizational tasks. Netokracija and Ivan Brezak Brkan helped us with media coverage and Plus Hosting (thanks Zvonimir Gembec) was kind enough to give us free domain and hosting for the community. Tomislav Negulić from CARNet did a huge part of bringing CARNet and WordPress Croatia together. And again, thanks for the photos of the event. Our first speakers: Jurica Zuanović, Tomaž Zaman, Goran Šerić and (again) Zoran Ugrina – without them first Meetup would not be such a blast. Dear guests Per Esbensen from Copenhagen and Primož Cigler from Ljubljana. And more and more people will be on this list in the future. 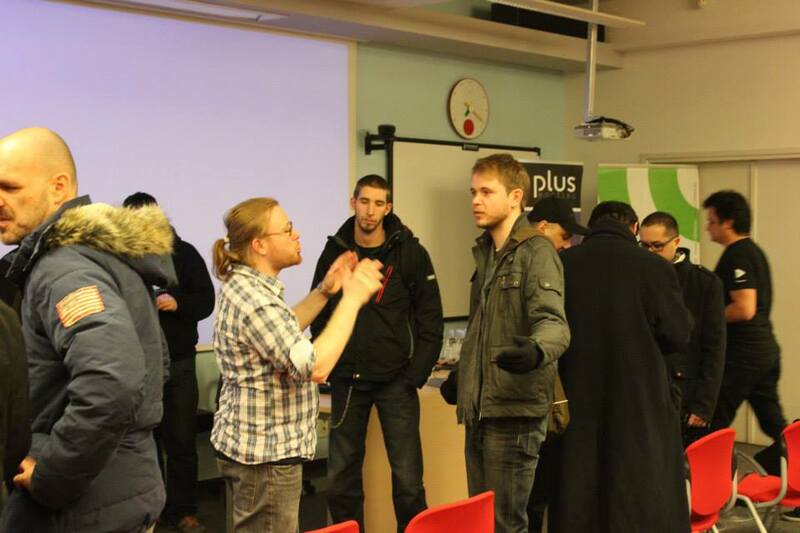 Since this article is more of a story than a report on the first WordPress Meetup, if you want to learn more about the Meetup and what happened there go to Tailored4WP blog and read a blog post there.